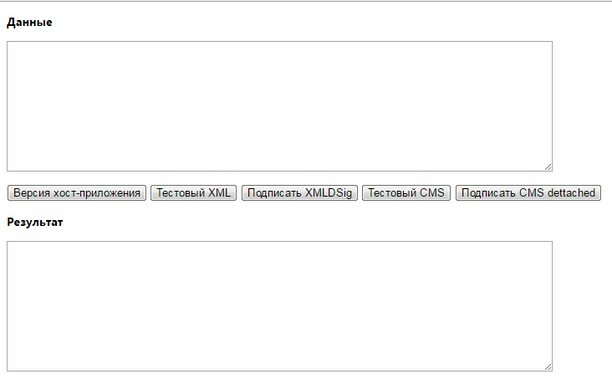 "XMLDSig" and "Cms detached" is supported. You need have crypto provider is istalled on your PC such as CryptoPro or VipNet. Links awaliable in extension menu. For your web-page integration see test page sources.